Picture this: You walk out on the streets of Mumbai generally strolling the lanes, by-lanes and passing by the iconic monuments stationed all around the city. And then at some random moment, you stop and realise that a particular scene from a particular movie, possibly your favourite, was shot there. What an exciting feeling, isn’t it? 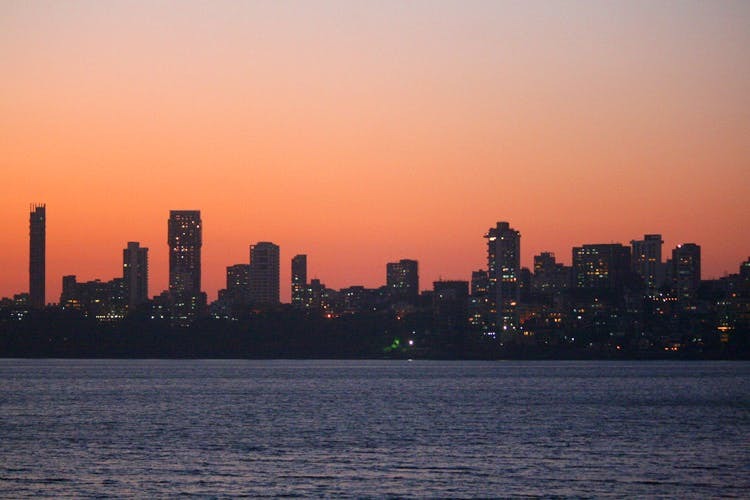 We thought we will prod that feeling a little further and give you a Mumbai darshan through the Bollywood lens. Thanks to Bollywood, no one will ever feel like they’re coming to the Maximum City for the first time. The tripods, the waves crashing (only in high tide, though), the cement embankment to park yourselves on, and all of it bettered by rains – Marine Drive is Bollywood’s favourite spot. Be it Ranbir Kapoor romancing Konkana Sen Sharma in Wake Up Sid, or Mithun Chakraborty taking a long walk in Guru, every single person from across the globe knows what Marine Drive really looks like, all becasue of the endless times it has been shot at. Far from its reality, the Asiatic Library is Bollywood’s favourite for every court scene. We believe it’s because of the beautiful fleet of stairs adorning the entrance. But even from the outside, this beautiful Greek architecture has been used in popular films like OK Jaanu, Shootout at Lokhandwala, Dev, and Bombay. Dharavi and its dynamics has been attracting storytellers and tourists since ages. And that obviously means that Bollywood has had its own share of shooting Dharavi as well. Remember Slumdog Millionaire? From running, hopping and skipping all over the house, to a proper tour till the innermost lanes of Asia’s biggest slum area. Thanks to Danny Boyle and team, you know what to expect if you do plan to head here. Remember how Genelia D’souza aka Aditi gets really upset when her kitten, Meow, passes away in Jaane Tu Ya Jaane Na? The sound that follows right after, Kabhi Kabhi Aditi, has our favourite picturization of the St. Xavier’s College, ever! The shots from the top, from inside the galleries, the hallways and the central ground, how we wish we had the brains to get admission in this picturesque institute. A story of a helpless cop chasing a murder mystery is not an apt setting for exploring Colaba Causeway, but every marketplace scene in Aamir Khan’s Talaash is shot there. Just in case you’re the inquisitive one who looks beyond the stars and screenplay, chances are you would have noticed the quirky jewellery stores in the background, and you must head here soon. The largest outdoor laundromat in the world, the Mahalaxmi Dhobi Ghat is quite a tourist attraction. And this is where the entire opening sequence of Munnabhai M.B.B.S. is shot where Munna and Circuit are seen sharing bro-moments. This Dhobi Ghat is also where Zoya Akhtar’s Dhobi Ghat is shot. A melodious tune, a young couple in love and tons of pigeons can all come together seamlessly only at an iconic spot like Gateway of India. And that’s what Jiya Dhadak Dhadak, the romantic song from Kalyug capitalises on. Next time you’re at the Gateway, you can up your Bollywood quotient by getting some pigeon-feeding shots with your bae. Mr. India, India’s own superhero movie from the ‘80s also toured many parts of Mumbai. But the one that clearly stands out is the fun they have at the Juhu beach. A clean beach, some random horse carting, street vendors and clear waters. While the street vendors and eating places are intact, the beach looks nothing like that anymore, unfortunately. “Tujhe Aksa beach ghuma doon, aa chalti kya?” is Bhai trying his luck on lady love in God, Tussi Great Ho, the Indian version of Bruce Almighty. And identifying that they were romancing on Aksa Beach was no rocket science thanks to the lyrics. This Malad beach is where the visitors often flock to. But then again, don’t expect cleanliness. It’s not one of our strong points. Socha Hai from Rock On is what opens the film and is a performance by Farhan Akhtar’s on-screen band on a stage right in front of the iconic Chhatrapati Shivaji Terminus. The glimpses of the Indo-Saracenic architecture that you catch while Akhtar is prodding you to think about all the things you never thought were important is kinda distracting. And rightly so, because CST > Socha Hai! We’ve thought this through. While this list is pretty much endless, we’d like to add some more quick city recommendations given by Bollywood. Flora in Worli where Amol Palekar’s Chhoti Si Baat is shot, and Kooler & Co which was the place Irrfan Khan sat and mulled over in The Lunchbox are city gems you shouldn’t be missing out on.